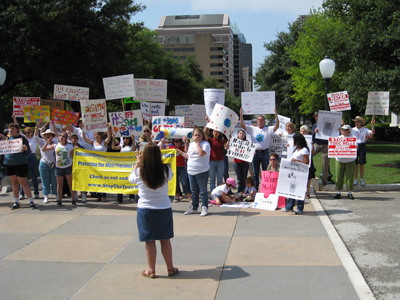 Families across Texas make their voices heard! CROW (Citizen Residents Opposed to Wells) has something in common with every person, business, and government official in Montgomery County, and beyond. No one wants to see toxic injection wells to go into operation in Montgomery County. 10-03-2012 County to landowner by TexCom site: "No shenanigans"
11-16-2011 Political pollution in well approval? 04-19-2011 Editorial – Conroe In….Who Else???? TCEQ More Powerful Than Elected Officials? Nightly News covered the protest on the evening of 5/14/08, and again at 7:00A.M. on 5/15. Thank you for taking the time to read our information to become better informed. If you would like to help in our efforts to Stop the Toxic Wells in Montgomery County, read how to Get Involved. CROW is a non-profit 501(c) 4 organization. Donations are not tax deductible.